Someone looked at my blog this morning. I don’t know anything about this person other than they were in the United Kingdom when something made them click on the link to my homepage. That’s the joy of the stats page here on WordPress. We can see how many people have viewed which pages of our site, if they’ve come to us by a link, and which country they are in. It’s not much information but it’s enough for us writers to know that someone is thinking of us…even if we don’t know who they are. I’ve been thinking about what and when to post on this blog a lot. I haven’t written a thing since I started working back in August. Monday to Friday I’m awake at 6.45am to get ready for a job that, while I enjoy, has nothing to do with who I am as a person or what I want to be. I get home around 6.30pm, sometimes I’ll make myself dinner, sometimes I can’t be bothered. Then I’ll just sit on the sofa stalking Netflix for 3/4 hours before having a shower and heading to bed. My weekends are not much different really. I do think about writing, honestly I do, it crosses my mind almost every minute of every day no matter how tired I am. I just don’t do it. It’s kind of hard to get my head around “adulting”. I’m sure it’s the same for most people in their early 20’s. We had a plan and an envisionment. A dream and goals to live by. But no matter how well we’ve thought things out, something gets in the way. For most of us, that thing is money and bills, but there are many other things that pull us down and it’s very easy for us to let these obstacles take over. When I noticed that someone had looked at my blog today, I couldn’t help but wonder what they must think of me. It’s been almost 7 weeks since my last post which was a silly little time passer about Taylor Swift. My attempt at being current and “in tune” the media. I had a look through my blog and even though every post is written by myself, it doesn’t have much to do with writing itself…Which is the goal I had for this blog when I started it. I’ve avoided writing about writing for a while because it makes me feel like a hypocrite when I’m more planning a novel rather than writing one. But then again, wouldn’t writing about writing be writing? I put so much thought into what people will think of me and the words I put to a page that I never end up even putting any words to a page. When people who don’t know me check out my blog, I don’t want them to think I’m another dreamer who gave up at the first hurdle, because if my readers think it, then it’s not far from true, is it? I have a metaphor that I used to explain to a friend the other week to explain why I haven’t written anything. I compared my brain to that bundle of balloons you sometimes see being sold down a high street or a carnival. Hundreds of beautiful balloons, some bigger or more detailed than others. All attached to tangled strings held by one person who looks like they may be blown away at any moment. Then someone comes along and demands to have the best balloon. you don’t necessarily know which balloon is the best, but you have a vague idea… The balloon you aim for has a string that is very knotted and you have to be careful when getting it because you could lose another balloon while untangling. You decide you need this specific balloon, but it’s going to be difficult to get to and you’re probably going to have to secure some other balloons along the way while also accepting that a couple may get lost. Eventually, you’ll get the balloon you need down and it will head off into the big wide world, but until then you need to prepare for the struggle. It is the struggle I’m going through at the moment. deciding which balloon I think is the best and then trying to work out what I need to do to get it. Now I will admit, just like my brain, my metaphors are a bit of a mess that even sometimes I struggle to understand, but basically, I have hundreds of ideas in my head screaming to get out and be handed off to the customer who thinks they are the best. I have plenty of people saying they want specific ideas while I’m trying to decide which I want for myself. As a good blogger, I know I should be telling you guys about this on a regular basis, updating you all on my writing fears and successes. So, that’s what I’m going to try to do. 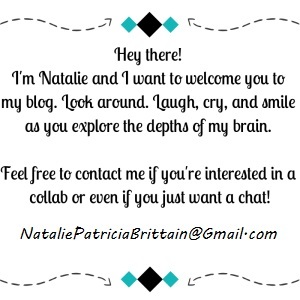 I’m thinking about the people I have checking my blog to see if my “balloon” is ready to be set free or how the untanglement process is going. I’ve sat down and made a list of all my ideas, working out which balloon has got to go where so to say. I’m going to try and keep you all updated on my thought process and how I’m trying to write. Even if it means I have to focus on a different idea every so often to keep them all from “floating away”. That’s what this blog is for after all. My writing process and the journey to being the best (balloon selling?) writer I can be. Thanks for checking out my blog guys and keeping up the support! Honestly the thing about wanting to write all the time but just not doing it is exactly how I’ve been feeling since we finished third year 😦 I’ve been trying to make myself write (even if it’s not supposed to be what I should be working on) and it’s difficult. I was listening to a video about a month ago – it was about creating videos but it can apply to writing as well. Basically, they were saying “just keep making content”. Producing content, not even thinking about the quality, is the only way to go. I mean without writing there’s nothing to edit, nothing to improve or share.